To enliven the University of Manitoba campus, the University of Manitoba Students’ Union (UMSU) is bringing back their annual weeklong series of events, Celebration Week. This year’s guest speakers are Dave Meslin, Kim Ives, Samantha Nutt, Kim Phuc and The Buried Life. The week also includes free breakfast every day from 8 a.m. to 10 a.m., an Asian movie night and Wines of the World Festival. Free breakfast will be provided every morning from 8 a.m. to 10 a.m. in the University Centre and every day at lunch there will be speakers,” said Tapp. Tapp mentioned that the Asian Movie Festival and Wines of the World Festival are also the part of Celebration Week. Celebration Week on the Bannatyne campus happens the following week, with events taking place from Feb. 1st to 3rd. “UMSU is excited for it and is hoping that students will be able to enjoy it with us,” said Tapp. This year UMSU budgeted approximately $45 000 for Celebration Week, down from the $50 000 that was spent on last year’s week of events. 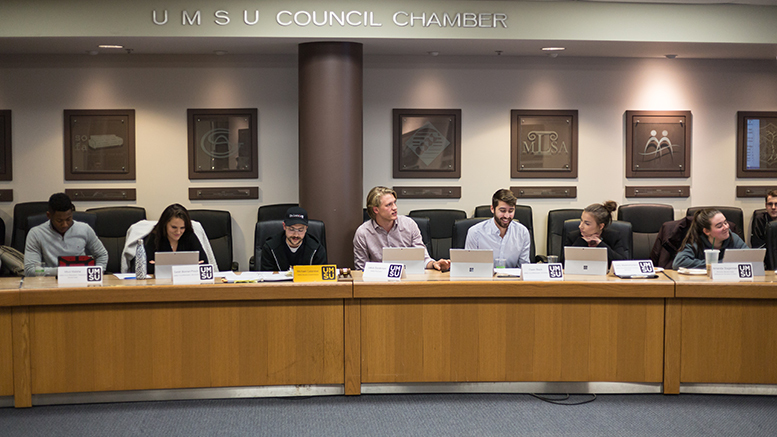 UMSU vice-president (internal) Justin Quigly explained that UMSU downsized the amount that was budgeted to better reflect the amount actually spent on the event. However, Brittany Turchyn, UMSU representative of St. Andrews College Students’ Association (SACSA), said that while she appreciated UMSU holding the week of student-focused events, she found that last year’s speakers were more high profile and “garnered much more attention from the student population as a whole” than she predicts this year’s line up will. She added that students who are interested in activism and social justice, and those who are familiar with these speakers are likely to benefit more from the celebration week. The majority of students the Manitoban spoke with said they were excited about UMSU’s roster of events this year. Lydia Gindy, a faculty of science student, said she thought Celebration Week is a great way for students to learn, feel involved and take part in the campus student life. “This weeklong event has a lot of fun events and speakers that are sure to take your mind off of school for a bit,” she said, adding that she was most excited to see speakers from The Buried Life, an MTV show where a group of young men attempt to complete a list of 100 things to do before you die. “They are really fun group of guys that inspire you to take risks and really live life to the fullest,” she said. She said she hopes the speakers inspire students to take initiative in our community and realize that they are just as capable as any of the speakers of committing to something they are passionate about. Saad Rizvi, a student in the faculty of graduate studies, said that he hoped Celebration Week allows new students, starting this term, to socialize and know their peers. “New students will enjoy the friendly environment around campus,” he said. Chris Workman, an Asper school of business student, mentioned that the events will have a positive effect on the university community. “Students benefit by learning about other people’s experiences and perspectives, building upon them and applying them in their studies,” he said. A full schedule of events can be found at umsu.ca.